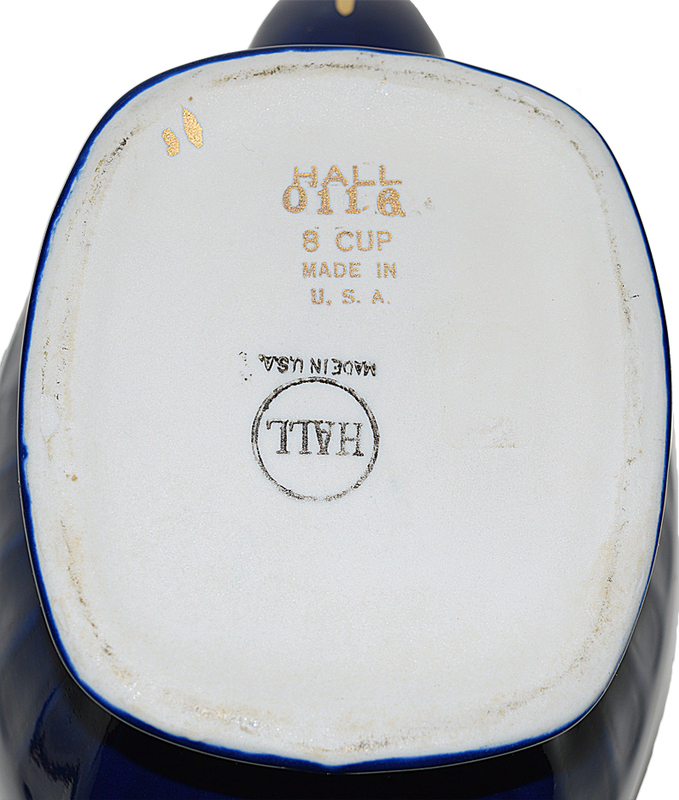 Condition: We are very pleased to offer for sale a pretty Hall China Marine with Standard Gold Hollywood Teapot. 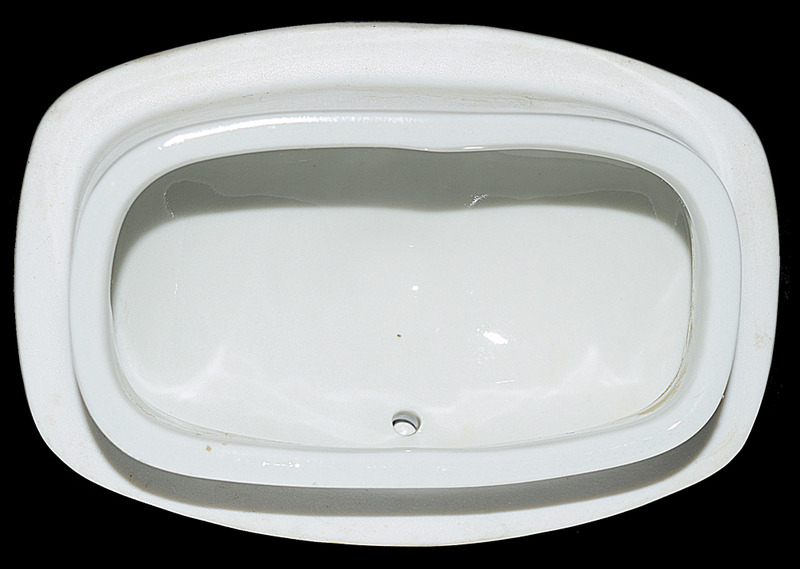 This fabulous piece is in Undamaged Condition without chips, cracks, repairs or mold damage. The glazing is awesome. The teapot has great gold. It is nice and clean inside and out. Marine and Gold Hollywood teapots in the 8 cup size are not common. This would make an outstanding addition to a Hall teapot collection. 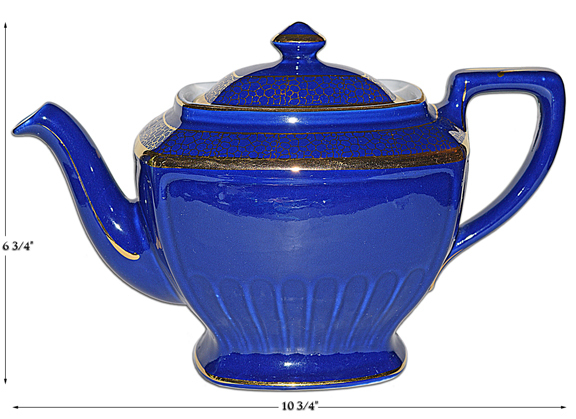 Measurement: 6 3/4" H. - 10 3/4" L.
Condition: We are very pleased to offer for sale a pretty Hall China Marine and Standard Gold Hollywood Teapot. 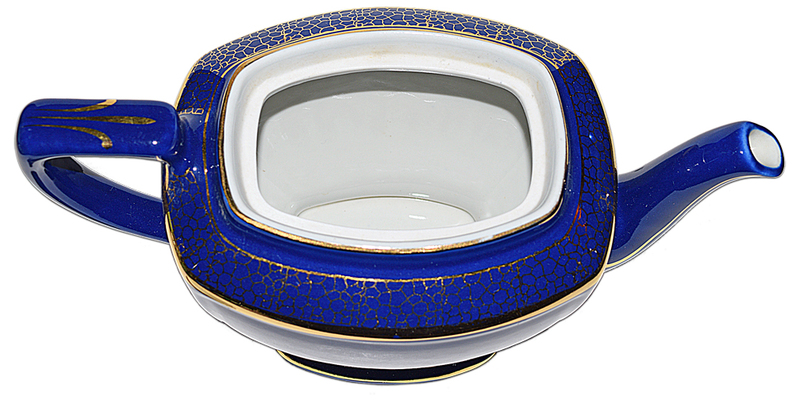 This fabulous piece is in Undamaged Condition without chips, cracks, repairs or mold damage. The glazing is awesome. The teapot has great gold. It is nice and clean inside and out. 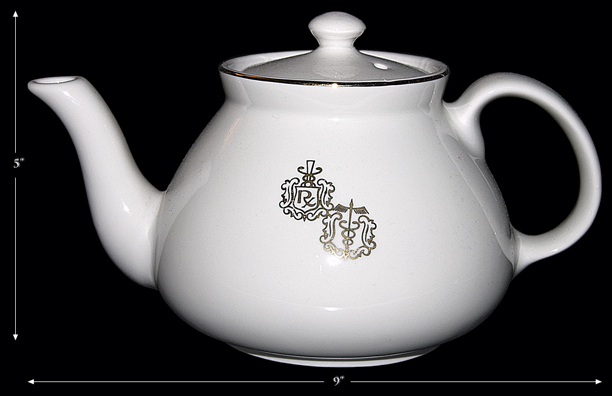 Marine and Gold Hollywood teapots in the 8 cup size are not common. 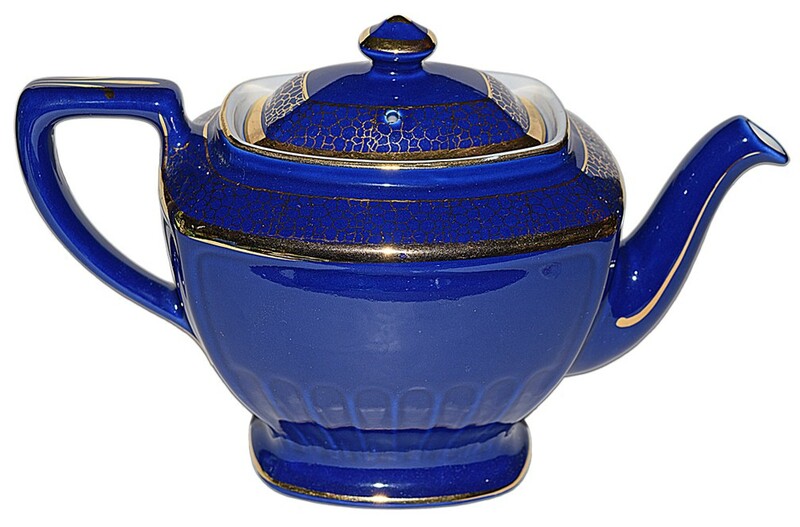 This would make an outstanding addition to a Hall teapot collection.